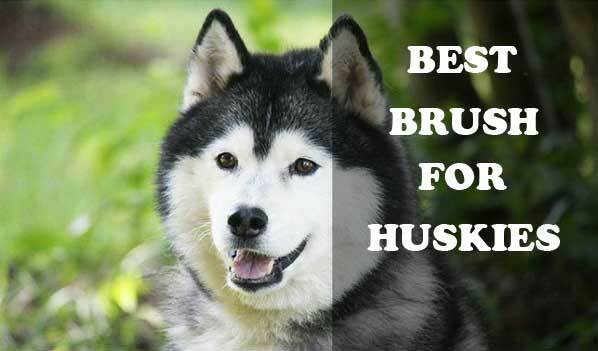 What is the best brush for husky? One of the best breeds out there that have pretty good hygiene habits are the Siberian Huskies. Although, they take good care of themselves with licking every part of the coat, it needs some extra work in order to be well maintained. If you want to keep your Husky’s coat looking sleek, pay attention when the dog sheds, as you also give it’s coat a nice trim every week. Before moving on to the topic, there are some side notes about the coat that should be talked over. As the dog is known to be true representative of the northern parts of the planet, it’s double coat helped it survive the tough climate of its habitat. Its coat is combination of an outer coat of longer, coarse guard hairs and a thick, soft undercoat. An important thing that every owner should now is that the guard hairs are naturally oily, which distribute a fleeting, faint charcoal smell in the coat, which can be sensed as soon your dog comes home after a walk in the winter months. Those oils are also a huge factor that saved the life of many huskies in the arctic climate areas, as they kept the dog’s coat dry from the freezing waters. As every breed, the shedding is not an exception even with the Siberian Husky. In fact, this breed has so intense shedding, people came with a term specially describing the process- blowing coat. If you still thinking if you want to get a Siberian Husky, you should be aware that you need to go over your house often if you want to keep it clean of dog hair. When the shedding starts, it will first occur on the legs, as it will continue to spread all over the body, as it will end at the tail and britches. The process last six to eight weeks, depending on how fast the hair becomes loose. Another thing you should be prepared of is to keep a good care of the tail, neck and haunches area, as they are prone to form mats. If you want to make the shedding process speed up, daily brushing and a warm soak do miracles. A nice hack is to comb the dog from top to bottom once you notice that first tuft of loose hair. 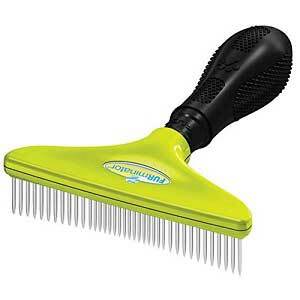 A recommendation for a tool to use is surely a “greyhound” comb. This gadget is made of stainless steel, as it is divided- to closely and widely spaced sides. 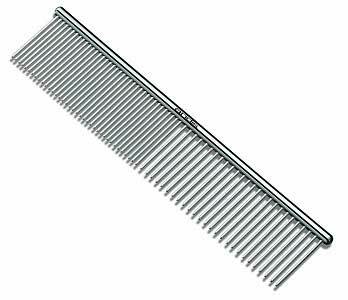 The wide one will help you untangle and loosen dead hair, as you comb with it first. The closely spaced tooth side will help you go through the coat and make it smooth and nicely brushed. You can use it in any direction, without meeting any resistance. There are cases when the dog’s undercoat is blown at once. If this happens to you, be sure to get a nice undercoat rake, which will help you reach the denser parts of the coat. This tool is crafted in a way that will make the pulling of loose undercoat through guard hair very easy, thanks to the right angle of the widely spaced teeth. When you notice a formed mat, make sure to untangle it using a comb, as separate the mat into smaller mats, so that way the process goes smoothly. Some Siberian Huskies are prone to form mats very easily, that’s why getting a liquid and tangle remover can save you a lot of time and nerves. When it is grooming time, be sure to put your dog on a stable, elevated platform like a table, so that way it is easier for you to do the job and show your dog it needs to stay at place. Other essential step while the shedding progresses is to give your dog a nice bath, that will remove the loose and dead hair, keep the skin moisturized and clean. Be sure to bathe your dog only with special dog shampoo, as human ones can lead to irritated skin and dry out the coat. Dog shampoos pH levels are balanced, making them suitable for every dog. Huskies coats are real mystery, as the guard hairs collect a lot of dirt and moisture, while the undercoat seems to look dry and clean. The outer coat is another story, as the dirt comes of naturally with just a good shake. The good thing about this breed is that they keep their hygiene levels high, making them naturally clean and free of odor dogs. Bath times for Siberian huskies is not a common occurrence, as you will need to give them baths only twice a year. The best time to bathe your husky is when the shedding of the undercoat starts, which is in the late spring. When the hot times of the year start, you can give your husky a fun bathe outside using a garden hose and the kids’ pool. If the bath needs to be done in cold weather or usage of a warm soak to hasten shedding, it is recommended to do it in enclosed shower stall or bathtub. To make things easier for you, try to use an attached to the shower head or faucet handheld sprayer, as you always leave the ears and face for last. To keep your dog’s coat looking nice and shiny while it is shedding season, give it a 15-minute brush using a pin brush several times a week. Using a dryer can help you detect ticks and sores. A lot of owners ask themselves the question “Is it okay to shave my husky?”. While it may seem that the dog will feel comfortable in the hot summer days, the answer of this ridiculous question is definitely NO. The reason is because the coat works as a protection from insects and sunburns, which makes it extremely important. All you need to do to make your dog feels great in the summer days is to give it fresh water, available shade and adequate ventilation. Removing the coat can lead to serious issues such as irritations, sunburns, insect bites. Without it’s coat, the husky is not able to regulate its body temperature. The coat can be removed only when the vet allows, as this can be because of medical reasons. It is good to have a tangle remover, such as liquid, even though it is not necessary. The brushing process will be painless and pleasant, if you use it. 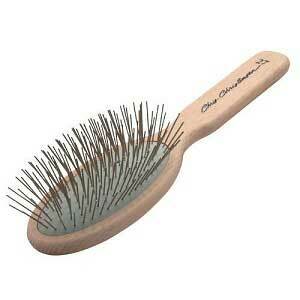 Number one solution when it comes to shedding is regular brushing, as for it, you will only need an Undercoat Rake. The best thing about this product is that you can purchase it and get a great use of it, without paying a huge amount of money. With it, you will be able to get deep into the coat and remove all the trapped dead skin, as the method is very effective. Reducing shedding using an Undercoat Rake. Gently go all over your husky’s coat, as you use the tool once every 3 days. Be gentle to areas such as armpits and behind the ears, as you don’t need to apply pressure, in order to receive great results. It is good to know that overdoing the same spot can cause discomfort in your dog. You can go over the same place not more than two times. 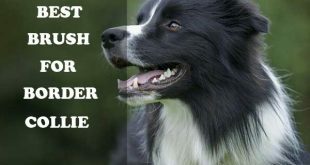 Brushing makes the dog feel great, but don’t overdo it, as 3 times a week is good. An advice a lot of owners should be familiar with is to never use deshedding tools on the husky’s coat. Although, they get a lot of hair out, it is not brushed out, but cut. You will notice that the coat gets rough and choppy, if you use such tool for a while. 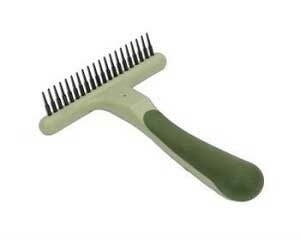 The best way to remove dead hair is with quality undercoat rake. As it was mentioned before, the coat of the Siberian Husky is very thick, so in order to get into the undercoat, you will have to use an undercoat rake. The product is specially made for that task, as it uses a soft-edged metal comb for guaranteed free of mats and loose hair coat. The gadget is great, as it helps control excessive shedding and gives your dog pleasure while you are using it. comfortable grooming, thanks to the soft blades. The great results are guaranteed. 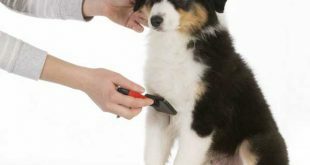 The tool is recommended by many groomers, as it is very affordable and effective. This is multi-functional tool, as it does a lot of work at once. The tool removes the loose fur from the coat, thanks to the rounded, stainless steel teeth, as it also separates and untangles the hair. The gadget can be used on dogs with sensitive skin as well, as it to provide a soft touch. The handle of the product is designed in a way that makes the usage of the tool comfortable and secure. 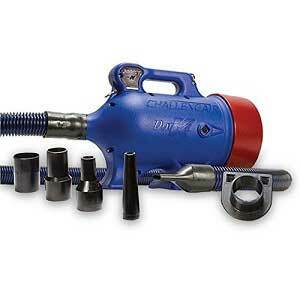 Another great part of the tool is it’s FURflex™ head that is also very easy to use, because of the right angles. The head reduces the spread of germs, because it is made of antimicrobial plastic. It removes tangles and mats very easy, all because of the contoured and rounded stainless steel teeth ability to rotate 360 degrees. The rake is easy to use, because of the secure, ergonomic handle that gives the user a comfortable feeling. The kit includes a protective cover that will store the rake and keep it clean and safe when it is not used. This tool will help you spot all the mats you have missed. It is the great last step of making sure that you did a good job with keeping your dog’s coat tangle and mat free. The comb is designed in a way that will go deep into the coat in order to remove every debris and mats. Perfect to add final touches to the coat. The product is not durable, as you need to get a new one after a while. This should not be a problem, as it is inexpensive. 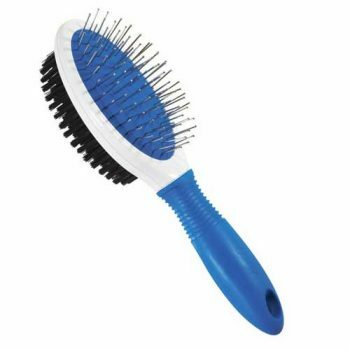 The slicker brush are must haves, as they are perfect for dogs with long hair, making it silky and free of matts and knots, because it locks onto them, grooming them out without any pain and complications. Hertzko’s product is loved by many, as it guarantees great looking coat for every dog, no matter it’s breed and size. The cleaning of the brush is a real dream, as the metal teeth retract, making everything extremely quick and effortless. The brush is designed in a way that makes the dog feel comfortable while you brush it, as it’s wire pins don’t dig in the skin, but they massage it. Your hand won’t get tired after doing a long grooming session, as there is a comfort grip for easy hold. 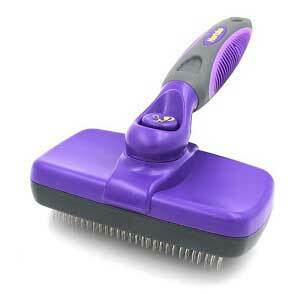 Hertkzo self-cleaning slicker brush is all you need to get those tangles away once and for all. On your attention is the ultra-lightweight Chris Christensen pin brush, that will keep the coat of your furry friend healthy and good looking. A lot of owners adore it, as they highly recommend it, due to its high quality crafting and sturdy design. The durably and light weight of the brush are because of the solid beech wood hand used for the brush’s manufacturing. The precise tips of the high quality stainless steel pins will guarantee for a well done job and perfectly looking coat. The product is made in Germany, which is why this tool is so great and steady. It is created following all the standards. This brush got your back in every situation, as it will remain its good work even in the hardest tasks. This brush is on the pricey side, which means there would be people that won’t be willing to invest. The next product is budget friendly and perfect for everyone. Saving money and space is priority for some people, that’s why getting a multi-functional tool can be the best solution. The soft rubber cushion that covers the rounded tips of the pins, so that way you can brush your dog, without being worried of irritating its skin. The process of brushing will be pleasant for you both, because of the included cushion. The brush is divided into two sides, as with the first one you focus on the tangles, as with the bristle side you smooth the coat and remove any left shed hair. Because the brush is on the budget side, expect that after a decent usage, the pins will dislodge and loose. This is in result of the rubber cushion covering. You will need some time in order to get used to how the bristle side of the brush works. After you use it for a while, you will get the idea. The product is inexpensive, which is preferred by many. In order to fight with heavy shedding, the following tips may come handy. To remove any trapped dead hair from the thick coat is a lot of work, but using a deshedding shampoo can save you a lot of time. The secret behind the miracle of those deshedding shampoos is the extra omega oils and conditioners included, as they make the removal easier and the hair slicker. The bathing process is the same, but you just need to use the shampoo and rub it into the fur. Leave the shampoo for 5 minutes, in order to unlock its working features, as after that you wash it away. To see how great it works, while the coat is a bit damp, get your undercoat rake and start brushing over your dog. The amount of dead hair you will get will be tremendous. Using DeShedding Shampoo and Conditioner will make the hair easier to remove, thanks to the omega oils. This product is safe, yet effective technique to get rid of excess hair. The shampoo gives a delightful smell, as the conditioner makes the removal of the hair more intense. The dog’s coat will be soft and clean, while the stubborn undercoat hairs are removed. Perfect for dry skin and dander, thanks to the moisturizing ability of the omega oils. The product is made only from natural ingredients, without any chemicals included. Be sure to use the Shampoo and brush, as the effect will be better. If you use the product on its own, you won’t notice a big difference. The smell is not pleasant, that’s why you need to include the shampoo as well, if you want to make your dog smell nice. 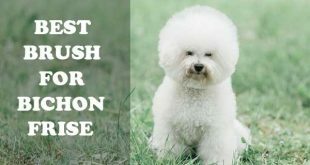 This conditioner is a great method of fighting with shedding, as if you brush your dog’s coat after that, the results will be way more visible. This conditioner is the last step you need to do, in order to get rid of the annoying shedding. If you use it regularly, the results will be noticed after a week or two. Quick note: The shedding will be increased 24 hours you have applied the conditioner. After you used the product, the hair will be loosened up and will continue to fall, but the shedding will stop till the second week. A lot of groomers have in their salons a “high-velocity dryer”, which helps them remove the loose hair, as this saves a lot of time. If you want to get similar tool, look for a leaf-blower with a hose, as those models are made to dry and remove dog hair. There are many beneficial sides of using such dryer, as the shedding will be reduced to minimum for two weeks. Before hitting the market, be sure to talk with your groomer if it is necessary and recommended. If you are ready to invest a ton into your dog’s coat, then getting a high velocity dryer can be an option. 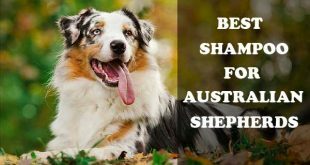 This step should be done by people who are owners of more than just one husky, as this investment can save a lot of money, because you won’t need to take them to the groomers. Will get rid of the shedding for two weeks. The product is high quality one. One of the quietest dryers on the market. High-priced. This product is recommended only for people who have more than just one dog at home and want to save money from groomers. It is used mainly by kennel workers, or dog groomers, as it works extremely fast. The dryer is still loud, although it is one of the best choices on the market for dryers that work a bit quieter. If you own only one dog, it won’t be a problem for you to take your dog to the groomers and leave it in the hands of a real professional. The coat of the dog will be clean and blown out, as the shedding won’t be a problem for you for the next two weeks. Another way to reduce the shedding is put your dog on a regime. Your dog needs to get enough protein and nutrition in order to maintain a healthy and good looking coat. Talk with your vet how you can improve your dog’s diet and deliver it all the necessary nutrition. Keeping your dog healthy should be your number one priority.